A highly recommended psychological thriller you need to add to your TBR NOW! See what Jessica, Sam and I thought of this book and then continue down to get the synopsis of book 2 that is coming out in January! Season One, Pilot Episode, Complete and looks like this is going to be a WINNER! I've seen a lot of referencing this book to the show Criminal Minds and I can absolutely see why. As one of my favorite shows, clearly I LOVE this book! 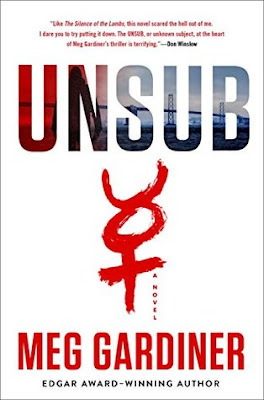 If you don't already know, Unsub is short for Unknown Subject, the person(s) being sought for the crime(s). I have always been fascinated by this kind of work because you really have to dig into the mind of the criminal and his behavior in order to try and get a step ahead to beat him/her. Bring in Caitlin, daughter of the father who almost caught the Prophet, but didn't, causing his life to fall apart around him. Will she follow in his path and not only be bested, but have it cause her physical, mental and social strife? My goodness does Gardiner give us the works with this novel. We have a highly intelligent Unsub who is patient enough that his terror has reigned for over two decades. He has a plan and is meticulous, leaving cryptic clues while sitting in the background giddy over his successes. What better mouse to play with than the daughter of the one you bested decades ago? Oh what an intricate plot you weave! If you love the show Criminal Minds, behavioral analysis and/or a proper gruesome, well thought out serial killer rampage, then you are going to be quite pleased with this book. History certainly does repeat itself and comes back with a vengeance. You guys, get this book. Read it, love it, remember it.... the next book is out in January and you're going to need to get that one too. Chop chop - these are doozies and must reads in my opinion. See you on the other side ;). Serial killers - real or fictional - have always been something I love to read about. 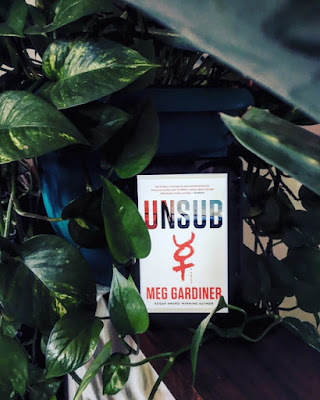 I loved THE ZODIAC by Robert Graysmith, so when I saw that Meg Gardiner's UNSUB was based on the Zodiac killer, I knew I needed to read it. A serial killer sending cryptic messages, they were never caught, and then bodies start showing up again 20 years later? Sign me up! Detective Mack Hendrix is on the case to find the serial killer known as The Prophet. There have been 11 killings, all the victims seem to have no connection except for the Mercury symbol carved into their skin. Throughout the 1990's, The Prophet terrorized the Bay Area, and nearly drove Mack crazy. Twenty years later, his daughter Caitlin is now a Narcotics Detective. Two bodies turn up with the same symbol etched into the victims' bodies. Is The Prophet back? Caitlin quickly realizes that she is now a target for the serial killer. Having to decipher each cryptic and twisted message, Caitlin is determined to find the killer and redeem her family name. Despite her father's warnings, her search borders obsession. Is this the same killer that terrorized her family and her childhood, or is this simply the work of a copycat? First off, I love the messages to decipher. That was something from the Zodiac that was the most fascinating and creepy. This book moved quickly and Gardiner created some great characters to keep your interest. The Prophet is a twisted, sadistic serial killer and this is definitely not for the faint of heart. I've seen comparisons to THE SILENCE OF THE LAMES and SE7EN, and those are completely accurate. Gardiner does a fantastic job at building the tension as you progress through this novel. There isn't a lot of up and down or crazy twists, but a steady build that will keep the reader in suspense. 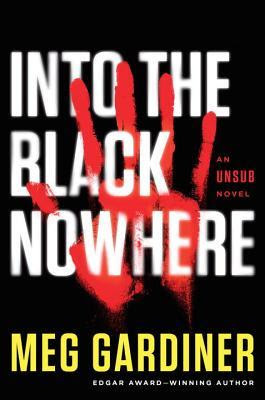 Overall, if you like serial killer thrillers, then you need to stop what you're doing and get this book. If you want something with genuine and real characters, then you'll love Caitlin Hendrix as she tries to track down this killer. The writing flows and the plot keeps a great pace - you'll need to clear out some of your schedule if you're planning on starting this! I am one of those people who is fascinated by serial killer thrillers; think Ragdoll by Daniel Cole and The Fourth Monkey by JD Barker, and, of course, Criminal Minds. Truly, anything with a sicko at the core, I completely eat up. 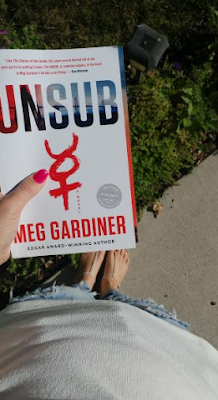 Well folks, if you are like me and are looking for a killer summer read, then you best be adding Unsub, the newest novel by Meg Gardiner, to your TBR piles. 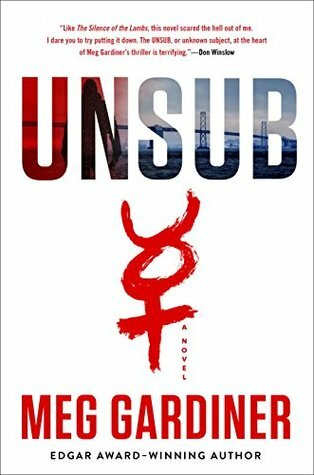 Heart pounding, dark and visceral, Unsub had me holding on to the edge of my seat and screaming for more. Drawing inspiration from the Zodiac Killer, a never caught serial killer who wreaked havoc in California during the 1970s, Unsub follows Detective Caitlin Hendrix, a narcotics detective who finds herself transferred to homicide when the killer at the heart of her childhood reemerges. The Prophet, a notorious Bay Area serial killer, nearly destroyed her father, the lead investigator on the case, during her youth and now he is back with a vengeance. Mind games, cryptic messages and violent actions draw Caitlin closer and closer into the Prophet's web with each gruesome murder. I was actually lucky enough to win a copy of this novel in a Dutton giveaway. But, like a good book reviewer, I kept this locked on my shelf so I could read it closer to release day. 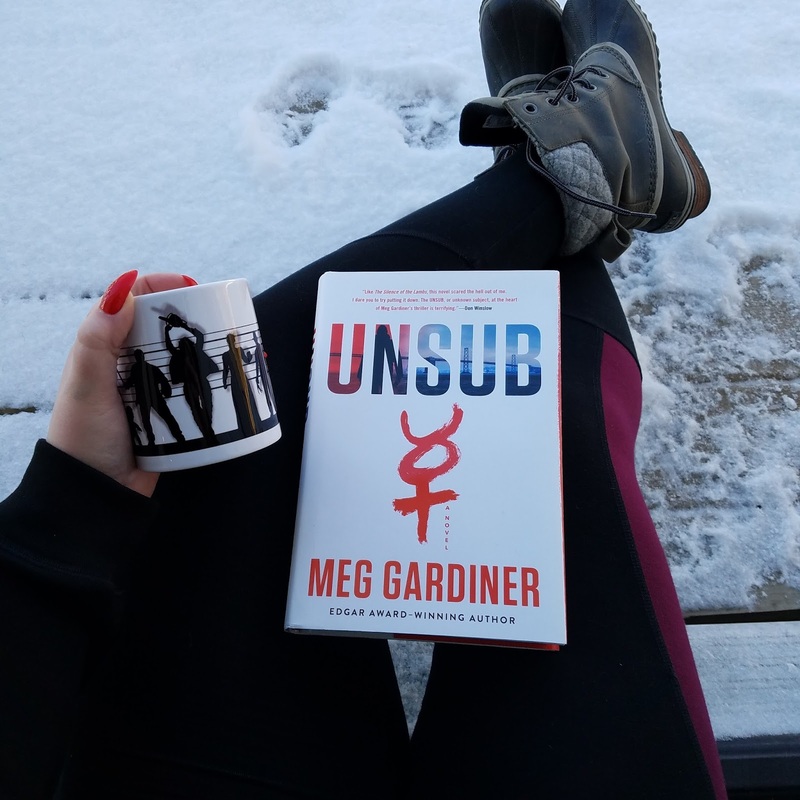 As you all know, I was majorly book slumping and had a bunch of other books up to be read but, when I opened this one, the cover had praise for Meg Gardiner coming from Stephan King, Tess Gerritsen and Karin Slaughter. Needless to say, when these literary greats tell me I need to read a novel, I make it a priority. I am so glad I did. Not only did this novel knock me right out of my book slump, but I am naming it one of my favourite's of the year!! This novel had everything I need to be entertained. A fast moving plot, interesting characters, well-developed backstories and moments of humour to give the doom and gloom some relief. Caitlin Hendrix, our lead, is incredibly likeable and truly a cop that can play with the big boys. 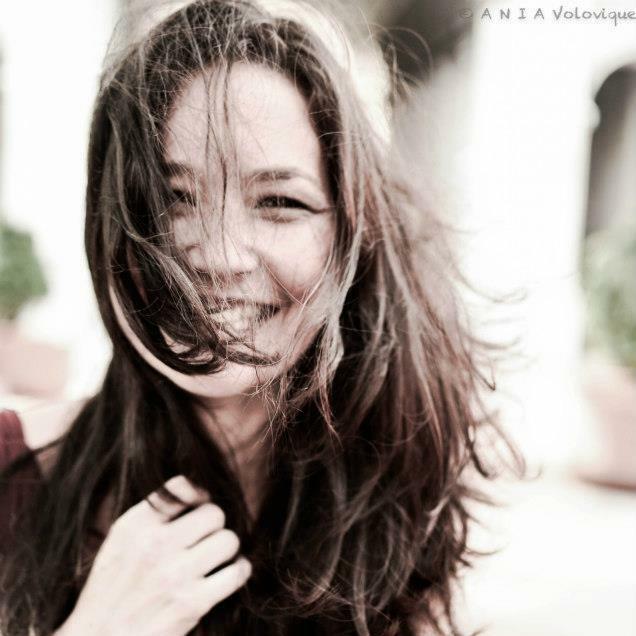 I loved her sincerity and ferocity. As for The Prophet, well he makes Hannibal Lector look like a pre-school teacher. Gardiner does so many things within her prose that made this novel stand out for me. This plot is not a roller coaster, but, instead, a steady build that had me feeling all sorts of anxiety. Gardiner does not let up. I also loved that Gardiner brought so many literary elements into this novel and, as the Prophet’s motives became clearer, I found myself so impressed with the originality it was bringing to the text. This is not your ordinary serial killer thriller. I do not want to give any specifics away within the plot or the general direction of the text because truly, you need to experience them for yourself. But, trust me when I say, this is absolutely a must read.